We often use wine to make an occasion special, to make a toast, or to celebrate someone or something, and it’s a wonderful way to enjoy that which wine has to offer. Today though, I consider the wine itself to be the moment. The simple pleasure of the sip can be the occasion; it’s that moment when the wine offers the flavour, the comfort, or the refreshment you’re looking for. 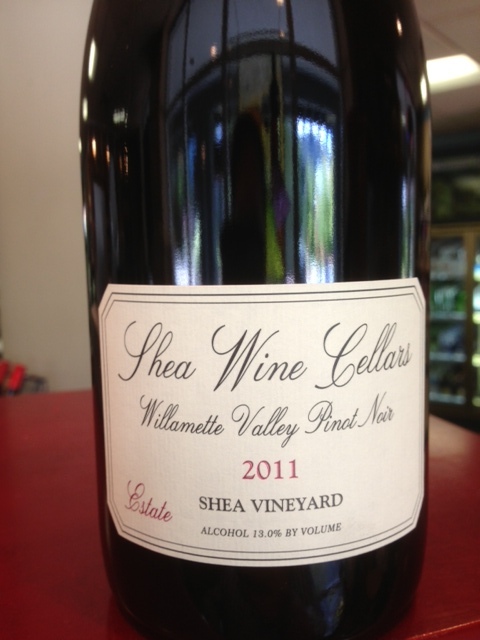 Today, that wine is the Shea Wine Cellars Shea Vineyard Estate Pinot Noir. Now I know it sounds like a repetitive name but the significance is that the Shea Vineyard (where many of Oregon’s top Pinot’s come from) is the property of Shea Wine Cellars, so while they sell a large portion of fruit from Shea, they keep their favourite bunches for their own wines and it is spectacular! The moment holds aromas and flavours of sweet spices, floral musk, raspberry, sweet beets, stewed strawberry, earth, hints of candied berries, and tangy cherry. The wonderfully balanced acidity and structure keep the wine elegant and focused with a persistent finish that showcases the well integrated fruit. It’s a perfect wine for an autumn moment.